It’s a browser we love to hate. From the anti-trust case against it to the countless security holes, just the name “IE" is enough to compare Bill Gates with the devil himself. 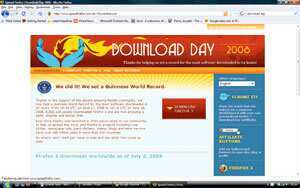 Yet, nerd snobbery aside, since its launch in 1995 IE remains the default Net window for 73.81% of the world’s computers. The newest iteration, Version 8, packs features that promise to finally remove all doubts and blemishes from the IE name. Not too different from its earlier avatars, the colour-coded tabs in IE8 enhance user experience. It also comes bundled with an Emulate IE7 feature to help you open pages that are not yet compatible with the new version. Accelerators: It lets you play with text, images and even videos in a completely new way. Web slices: It lets you stay abreast with the latest developments on your favourite site, without actually going to it. Simply select the area of the site that interests you and make a Web slice. Every time that section of the site is changed, it is updated on your favourites list. Web searching: There’s a personal tweak to it. Unlike the earlier search bar, which directed you to a list of search lists, IE8 gives better suggestions, visual clues and lets you select your favourite search engines and archives. InPrivate: It gives a new window in which no cookies or history is saved, destroying any usage information. Firefox’s instant claim to fame was its improved security. Unlike its previous version, the third instalment patched up security holes, got better scores at Web-rendering tests and had better overall graphics performance. It was also the first version that let you search your surfing history on the address bar and pause and restart downloads. Even little things such as password manager and bookmarks were spruced up to give users more control. For many first-time users, Firefox was a safer and savvier option. 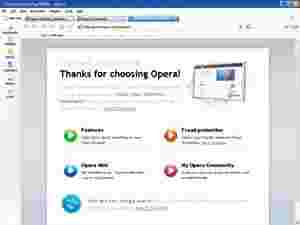 Opera was the first browser to introduce tabbed browsing. It was also the first to pass acid2 test (a test designed to see a browser’s rendering of Web pages), and the first to include a list of phishing sites to warn users. 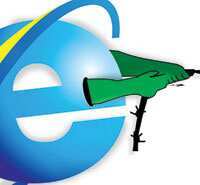 At one point, it was also considered the fastest browser available. The most notable feature of Opera is its “speed dial", a group of nine thumbnails that open on a new page. Each of these thumbnails can act as short cuts to your favourite websites. One version of this browser was also adopted for Wii and DS gaming consoles by Nintendo. 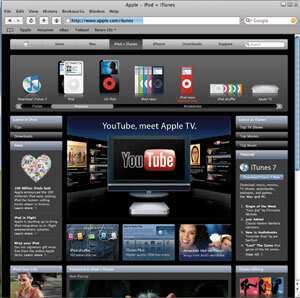 Safari was very well received when it was finally released for Windows last year. One reason for its rising popularity was its neat design. Safari sports thin borders and its bookmark system is similar to iTunes. Not surprisingly, it quickly gained in popularity among browser users and accounted for 6.25% of the world’s computers. Interestingly, even Google’s Chrome was built on Safari’s Web kit. 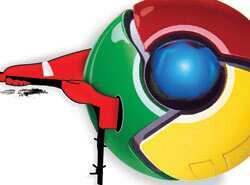 For starters, Google’s Chrome has a new Java engine. This means it can execute various applications faster. For example, resource-heavy sites that offer loads of options, such as Gmail, work faster on Chrome. Also, like IE8, each tab is independent, letting you shut it without affecting the others. Chrome is an epitome of minimalism. The browser wastes no screen space on borders. The side and bottom borders have been removed, halving the browser’s masthead, and the address and search bar have been collapsed into one address holder. Even the tabs have been moved to the top of the screen. All this gives more screen space to sites, making them appear larger and free of distracting clutter. Omnibar: This is Chrome’s most defining feature. Unlike most browsers, there are no separate bars for addresses and searches. Instead, have been merged into a single bar. This means that every time you type into the bar, the browser shows you possible site names and Google results of the words typed. Tab designs: Chrome’s most striking feature is that each tab behaves as a separate browser and comes with its own menu and toolbars. Opening page: Instead of simply opening a default home page, Chrome gives you thumbnails of nine frequently visited sites. Incognito: Very similar to IE8’s InPrivate mode. Sandboxed tabs: Since each tab is sandboxed, it doesn’t let malicious code enter and install itself on your system.